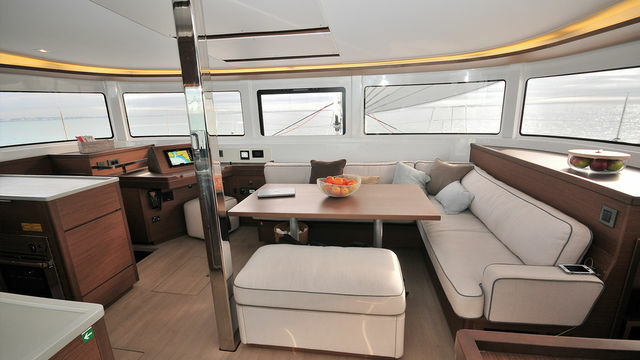 Create a notification for "Buyer's guide"
As is now usual, the new Fountaine Pajot catamaran is for the moment known under its code name ‘New 45’. 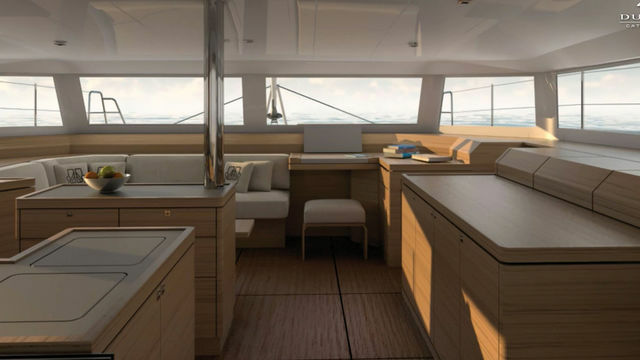 It replaces the Helia 44 in the range, and the New 45 picks up the features of the latest boats from the builder (Lucia and Astrea). Aboard, we find an impressive volume, bathed in light and particularly pleasant to live in. 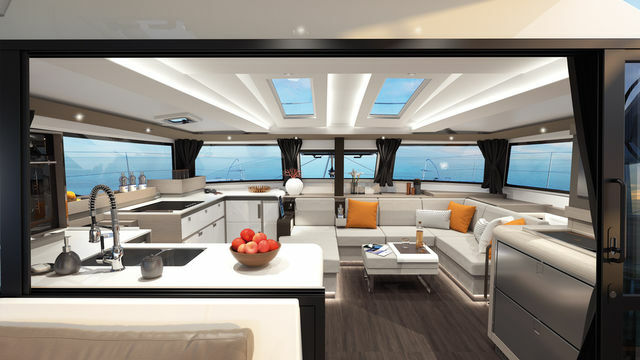 The new steering position is both convivial – it is close to the cockpit, as well as the area called the Lounge deck, which is found on top of the coachroof – and practical, with all the control lines within reach. The forward cockpit is also a nice comfortable area, which should be popular in the anchorage. Finally, we find the genuine (optional) ‘beach’ offered by the hydraulic rear platform. 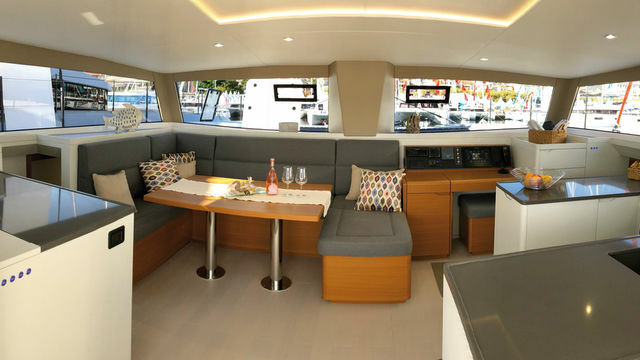 The 2019 BUYER’S GUIDE, the essential reference for all multihull enthusiasts.